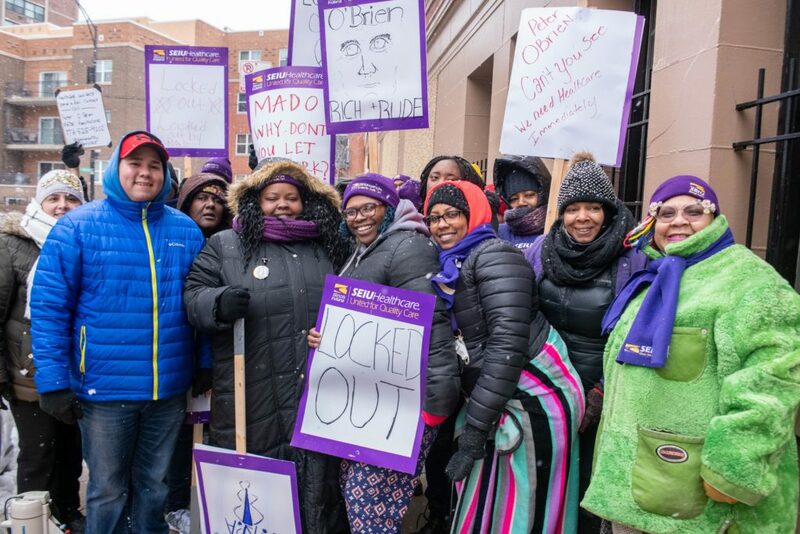 CHICAGO, IL—Following their wrongfully being locked out by management in an attempt at union busting, eight certified nursing assistants at Mado Buena Park have won a strong and fair contract and all are returning to work at the mental health facility. The certified nursing assistants had launched a strike on MLK Day to protest management’s unfair labor practices. Management had engaged in these practices—wrongful surveillance and unilateral implementation of management’s last offer in bargaining—after workers had organized to demand fair wages and affordable healthcare. Workers were joined on the strike line by community supporters, including Cook County Board President and mayoral candidate Toni Preckwinkle, multiple faith leaders including Rev. Marvin Hunter, as well as labor leaders and aldermanic candidates. When workers decided to return to work on Thursday—motivated largely by their concern for residents and management’s failure to staff to the legally required levels during workers’ absence—management wrongfully locked the eight certified nursing assistants out. Workers and their community supporters responded by publicly speaking out against the wrongful lockout—applying additional pressure which yielded results when management asked to go back to the bargaining table on Friday. Workers emerged from bargaining victorious—with a tentative agreement addressing their key concerns, fair wages and access to affordable healthcare. Workers will receive raises in the range of $1.50 to $2 an hour between now and June of this year. Additionally, workers will each receive a bonus of $720 upon contract ratification—an amount that more than covers the cost difference between the health plan that Mado Buena Park offers and the more affordable plan they had requested during bargaining for the next 18 months. At that point, at workers’ insistence, their contract will again be opened so they can renegotiate wages. As part of the agreement, workers have agreed to drop formal unfair labor practice charges. The certified nursing assistants are currently celebrating their hard-won victory and realizing the power that comes with solidarity, whether it’s a large group of workers, or a small one. 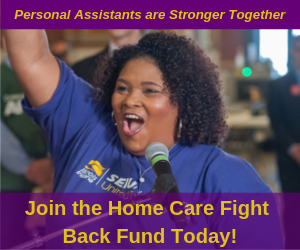 These eight workers refused to be bullied and intimidated, and as a result, are helping to lift the standards for nursing home pay and benefits across the area and across the industry.